At least I didn’t mess up as badly as this guy. Last Saturday morning I had one of my best days ever at the gym. It was also the day when I failed at everything. Summer is drawing to an end. I’ve been working a new routine all summer, ever since I posted my last PRs, and I wanted to see how it had worked out. Unfortunately, I had also been away from the gym for the last two weeks. I’ve been extremely busy, primarily with the dojo merger. But things are settling down a bit, so I went in. Pro tip: never try for personal records when you’ve been out of the gym for two weeks. The lifts I was going for were all only a few pounds higher than the PRs I posted in the spring. I failed all of them. But it was still one of my best days ever at the gym. I loaded up the bench press with 325, and called Phil over to spot me. Now, you need to know a few things about Phil. Phil is awesome. He’s that guy – the one that everybody at the gym knows. A firefighter and a former competitive weightlifter, he’s forgotten more about fitness than I’ll ever know. Even in his sixties he’s still considerably stronger than me. But he’s also got the best attitude of just about anybody I’ve ever met. He’s never met a stranger, and he loves to share his incredible wealth of knowledge. He’s always available to spot you if you need it. Then I hit the squat rack. My last PR was 395. Saturday I tried for 405. I warmed up to it as always – first the bar, then I added “one plate” (gym slang for a 45 pound weight on each side) at a time. 45, 135, 225, 315. Just a few reps at each weight. Then I added the fourth plate. Again, I got the bar off the rack strong. Again, I lowered it well – strong, controlled, and deep. Then I made my fatal error. I paused at the bottom. A second later I knew I was done. I caught the eye of a fellow gym goer in the mirror and he jumped in to help me out. Our local YMCA is fantastic for having folks with great attitudes there to help. But I was bummed out – really bummed. I almost had that one, too. But in the end, I wasn’t quite there. The iron doesn’t lie. I started re-racking the weights and preparing for my next lift (overhead press). That’s when two other young men approached. I’d never met these two before. They were young – probably college students – and in fantastic shape. And they were all smiles. Phil caught me again later. 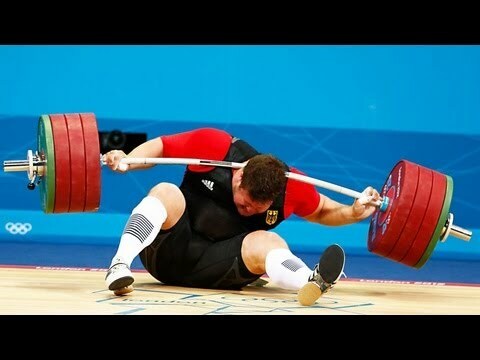 I went on to fail my PR at the overhead press as well. I literally failed all of my PR lifts on Saturday. But I left with pride. I left with respect – respect that I earned – and some real encouragement from total strangers. I’ve never felt better about a failure in my entire life. Failure is part of the gym. It is part of the progression. You will never hit new records if you don’t try things that are hard. And if you try things that are hard, often you will fail. Embrace the failure. Love it. It’s the pathway to success. I caught my symptoms early, after my three year old daughter had already had a positive strep test. So rather than wait, I hit the doc ASAP and got some antibiotics. And then a funny thing happened: my cold-like symptoms actually got worse. My first thought was that I had a secondary infection. It’s not uncommon to pick up a cold or some other virus at the same time as strep, when the immune system is already weakened. However, I noticed something a little odd. It didn’t really feel like a cold. It felt more like allergies. So I tried taking my allergy medication, which worked extremely well this spring in peak pollen season. Didn’t help at all. So… I skipped a couple of doses of my amoxicillin – an n = 1 experiment, if you will. The latter part of this is more or less exactly what I’m going through. 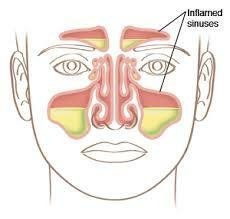 Other than the nasal congestion, I feel perfectly fine. The interesting thing is, I think I’ve had this allergy my whole life and simply not known it. Most of the time when I taken antibiotics I’ve already had some kind of sinus congestion – strep throat, a sinus infection, etc – so it never stood out. But I was always – always – the one in my family who took the longest to recover from sinus infections. And now I think I know why. I think I had recovered from the infection just fine – but the antibiotics themselves were causing me to continue having symptoms. It’s not a major allergy. I’ve only got a day and a half left on this prescription, so I’m going to go ahead and finish it out. But next time, I’m going to request something different.